The life of a landlord certainly isn’t easy. There are plumbing issues that eat into time and money. There are tenants who fail to pay the rent. There are broken leases and leaky roofs.And the hassles don’t even end when the beleaguered landlord finally decides to sell the property. After the deal closes, the Internal Revenue Service is waiting in the wings to collect a capital gains tax on the profits from the sale. “Depending on your situation that can definitely end up being a significant hit when tax time arrives,” says Dwight Kay, founder and CEO of Kay Properties and Investments (www.kpi1031.com). But Kay says with the right planning those landlords – and anyone who sells commercial property – can sidestep paying the capital gains tax. Here’s how: When they sell their property, they can invest the proceeds in what is referred to as “like-kind” property using Section 1031 of the Internal Revenue Code. Essentially, they are exchanging one piece of commercial property for another, but hopefully one that better meets their needs, Kay says. “A landlord who decides he’s tired of all the work he has to put in on his rental property could use the exchange to get an income-producing property where someone else is dealing with all the problems,” he says. All types of commercial properties can be considered “like-kind,” including apartment buildings, vacant land, farmland, office buildings and warehouses among other properties. One drawback is that the seller has just 45 days to identify what property they are going to exchange into. It’s not always easy to find 1031 exchanges quickly, but there’s also a solution to that, Kay says. Eliminating the day-to-day headaches of property management. The Delaware Statutory Trust 1031 property provides a passive ownership structure, allowing the investor to enjoy retirement, grandkids, travel and leisure, as well as to focus on other things that they are more passionate about instead of property management. Increased cash flow potential. Many investors are receiving a lower amount of cash flow on their current properties than they potentially could be, Kay says. That might be because their properties have under-market rents or multiple vacancies. It could be that they have raw or vacant land that is sitting idle. These Delaware Statutory Trust exchange properties provide an opportunity for investors to potentially increase their cash flow on their real estate holdings. Portfolio diversification. Often times, 1031 investors are selling a property that comprises a substantial amount of their net worth. They want to reduce their potential risk and instead of buying one property they decide that investing into a diversified portfolio of Delaware State Trust properties is a better fit for their goals and objectives. Dwight Kay is the Founder and CEO of Kay Properties and Investments, LLC (Kay Properties). Kay Properties is a provider of DST brokerage and advisory services headquartered in Los Angeles, CA with an office in New York, NY. Registered Representatives at Kay Properties and Investments specialize in helping 1031 exchange clients throughout the country purchase DST properties and are securities licensed in all 50 states, Washington D.C. and the U.S. Virgin Islands. Mr. Kay has personally been involved in over $200,000,000 of client purchases of DST properties and other securitized real estate products. Dwight began his career in commercial real estate working for a national commercial real estate brokerage firm focusing on multifamily and commercial real estate. Mr. Kay received his Bachelors in Business Administration from Point Loma Nazarene University in San Diego, California, and successfully obtained his Series 7, 22, and 63 securities licenses as well as a real estate broker’s license. This website contains information that has been obtained from sources believed to be reliable. However, Kay Properties and Investments, LLC, Colorado Financial Services Corporation and their representatives do not guarantee the accuracy and validity of the information herein. Investors should perform their own investigations before considering any investment. Securities offered through registered representatives of Colorado Financial Service Corporation, Member FINRA / SIPC. Kay Properties and Investments, LLC and Colorado Financial Service Corporation are separate entities. OSJ Address: 304 Inverness Way S, Ste 355, Centennial, Colorado. 303-962-7267. Kay Properties & Investments, LLC, is registered to sell securities in all 50 states. DST 1031 properties are only available to accredited investors (generally described as having a net worth of over $1 million dollars exclusive of primary residence) and accredited entities only (generally described as an entity owned entirely by accredited individuals and/or an entity with gross assets of greater than $5 million dollars). If you are unsure if you are an accredited investor and/or an accredited entity please verify with your CPA and Attorney prior to considering an investment. You may be required to verify your status as an accredited investor. Are you looking for ways to trim your ever-increasing maintenance management costs? Are your maintenance expenditures wiping out all the profits you are striving to make? Struggling to make the most of an ever-dwindling budget? As a maintenance manager, you should not be surprised if the senior management keeps a constant check on your department because maintenance management is a controllable department in any commercial facility to cut costs. However, as procedures continue to grow complicated over time, you may have to modify certain procedures. While it may need you to remove some redundant steps and add a few extra details, it is important to ensure that the job description does not get complicated and confusing. Several research studies have shown that the human mind faces difficulty when processing more than 7 things simultaneously. Identify the important steps and clearly specify them so that performing maintenance tasks becomes fast, easy and accurate. Major accidents and injuries mainly occur in the absence of education and this can cost your facility in more ways than one. Ensure that all your equipment operators and maintenance technicians receive proper training on safe work practices. Educating non-technical staff to identify unusual sounds and technical flaws will ensure that you prevent expensive and untimely repairs and replacements while extending the service life of your machinery. Prepare a maintenance calendar for every month and every quarter with predetermined maintenance dates for critical equipment. Calendars will help in avoiding conflicts between predictive and preventive maintenance schedules and help you prioritize your budget for repairs and replacements. Try to leave some buffer time when preparing your calendar for unpredicted fire fighting and divide every week into different timeframes for tackling maintenance tasks that must be done on time and others that need to be done soon. The upkeep of vital equipment is critical to operational efficiency and business success. Design a process that implements proactive practices whether your maintenance crew is dealing with unexpected system failures or working to prevent unplanned outages. Key performance indicators that are generated from maintenance activities can be used for measuring both business performance and equipment performance. This valuable data can then be used for taking informed decisions related to training, creating accountability, improving practices, introducing troubleshooting checklists and making plant equipment choices. The benefits of CMMS extend beyond the above-mentioned capabilities. It brings you the power to predict and improvise by offering a real-time view of what’s actually happening in real-time. This empowers you to shift your focus from fixing sudden failures to finding new ways to improve performance and reduce costs. Lindsey Walker is the marketing manager for NEXGEN Asset Management. She excels at business development, project management and asset management. Her passion for writing allows her to share her knowledge on asset management, geographic information systems (GIS), software implementation, training curriculum development and similar topics. What Are the Potential Benefits of Exchanging into a Delaware Statutory Trust Property? 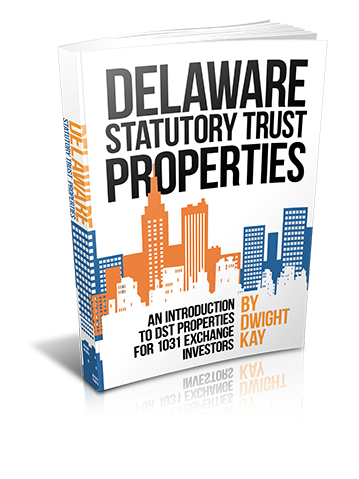 There are a number of potential benefits of exchanging into a Delaware Statutory Trust (DST) 1031 property. It is important to note that these should be carefully weighed with the potential risks that we have outlined at the end of this article. You should also read the risk section of each DST 1031 property’s offering materials in detail prior to investing. Many of our clients are at or near retirement, and they are tired of the hassles that real estate ownership and management often bring. They are tired of the tenants, toilets and trash and are wanting to move away from actively managing properties. The DST 1031 property provides a passive ownership structure, allowing them to enjoy retirement, grandkids, travel and leisure, as well as to focus on other things that they are more passionate about instead of property management headaches. Many of our clients have wanted to sell their apartments, rentals and commercial properties for years but haven’t been able to find a property to exchange into and just can’t stomach the tax bill after adding up federal capital gains tax, state capital gains tax, depreciation recapture tax and the Medicare surtax. The DST 1031 property solution provides investors an ability to move from an active to a passive role of real estate ownership on a tax-deferred basis. Many investors are receiving a lower amount of cash flow on their current properties than they could be, due to their properties having under-market rents, properties that have multiple vacancies and/or that are raw or vacant land sitting idle. DST 1031 exchange properties provide an opportunity for investors to potentially increase their cash flow on their real estate holdings via a tax deferred 1031 exchange. Often times, 1031 investors are selling a property that comprises a substantial amount of their net worth. They want to reduce their potential risk and instead of buying one property (such as another apartment building) or one NNN building (such as a Walgreens pharmacy or Taco Bell restaurant) they decide that investing into a diversified portfolio of DST 1031 properties with multiple locations, asset classes (property types) and tenants is a better fit for their goals and objectives. This is similar to how investors tend to invest retirement funds in mutual funds and Exchange Traded Funds (ETFs), as opposed to placing their entire retirement savings into the stock of one particular company. However, it is important to note that there are no assurances that diversification will produce profits or guarantee against loss. One of the requirements for a 1031 exchange is to take on “equal or greater debt” in the replacement property to what you had in the relinquished property (the property you are selling). In today’s lending environment, it is often hard for investors to obtain non-recourse financing at an acceptable interest rate and terms. Due to the DST 1031 properties’ sponsors typically having strong lending relationships, they are able to secure non-recourse financing at some of the best terms available in the marketplace. The DST 1031 investors are the direct recipient of these financing terms that they would otherwise often not be able to obtain on their own. DST 1031 properties provide access to large, institutional-grade real estate that is often otherwise outside of an individual investor’s price point. With the typical minimum investment of $100,000, investors are still able to purchase an ownership interest in large $20 million-plus apartment communities, $5 million-plus pharmacies or $15 million grocery stores, for example. This allows investors access to a level of real estate that they just would not have been able to exchange into before. That being said, we also have had many clients with very large 1031 exchanges opt to invest in DST 1031 properties because they did not want to place “all their eggs into one basket” by purchasing one single, large investment property. For those investors that have a substantial amount of equity in raw or unimproved land (as well as investors with vacant properties that are not producing any cash flow), the DST 1031 property allows them the opportunity to sell, defer taxes via a 1031 exchange and unlock the trapped equity that they have in their properties. Now this trapped equity is free to produce for the investor potential cash flow on a monthly basis. This is one of the main reasons why investors in their 45-day identification period “time crunch” often turn to DST properties. They are able to close quickly and complete their exchanges due to the properties being pre- packaged, as opposed to waiting 30, 60 or 90 days to purchase another outside property. Investors that have owned their apartments and rental properties for longer than 27.5 years and commercial properties for longer than 39 years have fully depreciated the properties, with no more deductions to help shelter the rental income. By purchasing DST 1031 properties that have a greater amount of financing than their relinquished (sold) properties, those investors are creating for themselves a new basis to shelter rental income through. We encourage all investors to speak with their CPA and tax attorney regarding this prior to investing in DST 1031 properties for details regarding their particular situation. For investors that have fully paid off their properties, the DST 1031 properties with financing in place provide for interest write-offs to help shelter potential cash flows. Many clients in today’s environment are looking for a way to increase tax efficiency due to the burdensome tax system in place in the United States. 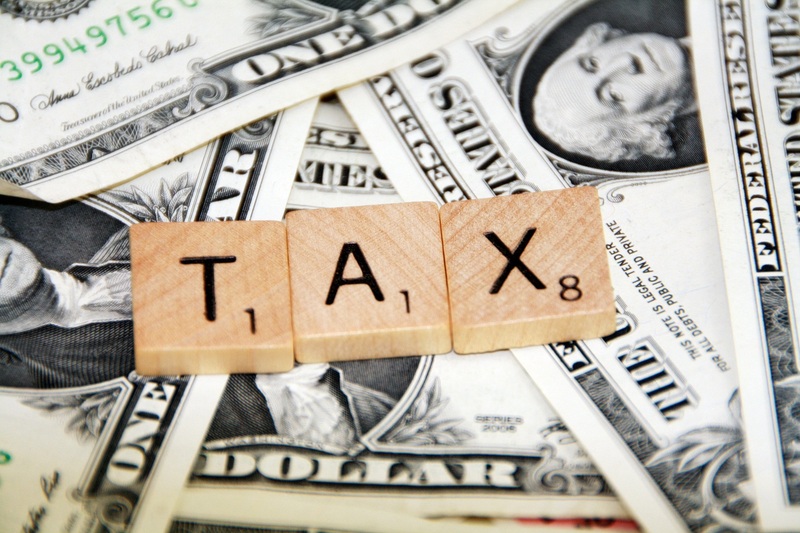 The DST 1031 can help to potentially solve some of these tax problems. The United States ranks 8th in the world as an energy efficiency economy, according to the American Council for an Energy Efficient Economy (ACEEE), with Germany taking the top prize. And, while the United States has made great strides in energy efficiency in the past few years, like many things in life, there’s always room for improvement. In fact, despite ranking in the top 10, the US still has plenty of motivation to climb the energy efficiency rankings. Energy efficiency is the third largest resource in the US power sector. It’s an interesting concept – the idea that reducing energy is actually not just savings, but a resource in generation. If you look at it that way, 18% of the energy used in the US is offset – or generated – by energy efficiency measures. How does that savings manifest in real life? Here are three of the most innovative buildings that have prioritized energy efficiency in both design and operations. Jacobs Hall opened in 2015 as an interdisciplinary hub for engineering students. The building is home to flexible spaces for both instruction and student driven creation. Even better, it represents energy efficient design at it’s best. The building uses 90% less energy than the median college campus building. Thanks to a smart passive solar design, more than 80% of the lighting and ventilation comes from free natural resources. For example an in house solar photovoltaic array that powers 58% of the building’s energy needs. In addition, the university saves on hefty California water costs by conserving 50% of rainfall and using weather sensitive irrigation systems. Beyond Jacobs Hall, U.C Berkeley as a whole holds a strong commitment towards sustainable buildings. More than 10% of campus is already LEED certified and all new buildings are required to outperform building codes by 30%. Built and managed by the Durst Organization Inc.>, New York’s One Bryant Park is the first commercial high rise to receive LEED Platinum certification. Home to Bank of America, the building has more than 10,000 occupants every day. Despite it’s high profile and occupancy, operators are able to keep it as one of the greenest skyscrapers in the world with help from some unique strategies. The property uses LED lighting throughout, collects and reuses heat waste, and employs highly efficient ventilation. With all this innovation, the building is outperforming expectations. Actual energy consumption is 12.7% less than what was predicted in the design phase. In the heart of the nation’s capital’s business district,The Tower Companies have wowed us with their Millennium Building. Tower Companies is also committed to reducing energy use by 20% by 2020, as a part of the >Better Building Challengereal-time energy monitoring, lighting and equipment upgrades, and installing DC’s first solar array on a large a commercial building. The Millennium Building is LEED Gold certified, and has earned Energy Star Certification every year. The Millennium Building also won the “Outstanding Building of the Year” for a commitment to sustainability and effective facilities management. Brendon is the VP of Marketing for Aquicore. He is a technology enthusiast with an interest in applying new technologies to solve tangible real-world problems. When not marketing you can find Brendon out on the many cycling trails around Washington D.C., or seeking out the newest local brewery. Brendon earned his BS in Marketing from Penn State University and his MBA from Duke University, The Fuqua School of Business. As 2016 rapidly comes to a close, Bisnow takes a look at the concerns and priorities for real estate firms in the year ahead. Bisnow sought out IREM president Michael T. Lanning, whose background includes SVP and market leader at Cushman & Wakefield in Kansas City, MO. The following are his four biggest challenges for the industry to tackle in 2017. To keep up the momentum, management teams must focus on hiring and securing new young talent to the field—particularly with those seeking to establish their careers in the real estate industry over the long term. Brokerages and real estate businesses can do their part by supporting young professionals and mentoring them through internships and in the early stages of their careers. One surefire way to ensure the nurturing of young talent is to reach out to students who may not have considered real estate as a possible career path; IREM’s university outreach program, for instance, seeks out students before they graduate college. Planting the seed early is key; real estate is a tough industry, and those hoping to enter it must come prepared. As we slowly begin preparing for the challenges and rewards of 2017, more scrutiny is being placed on the reporting and results stemming from each real estate project. Helping project owners and developers outline and reach their sustainability goals may play an important role for a multitude of real estate firms, but should begin to take precedence. Most people rely on some form of smart tool as their primary form of communication, whether that’s a smartphone, tablet or laptop. Email, instant messaging, video conferencing and social media are now the primary avenues of immediate contact, and real estate firms need to recognize that—and readily adapt to it. “Real estate managers today have to be adaptable to changes in the workplace and in the properties they manage,” Michael says. “And that includes adopting new technologies, software and apps.” Whether it’s lease renewals, remote meeting capabilities, virtual building tours or online banking, real estate managers need to pay attention and adapt as more professionals begin incorporating these tools into their careers. Although real estate is cyclical, every player in the industry from the small-town broker to the CEO of Cushman & Wakefield must be prepared to weather every storm. While it is impossible to predict and micromanage every aspect of the market and its effect on one’s business, it is essential to develop evolving tactics and strategies to protect it. This necessitates a wide range of skills, particularly in effectively managing. The only thing real estate brokers and managers can be inflexible on is flexibility, and they should expect to adjust their management focus on a yearly, monthly and even daily basis to satisfy clients, developers and owners. This is a sneak preview from The Modern Broker, our guide for brokers in a tech-enabled world, coming out next week. Subscribe to the blog to get notified as soon as it comes out! One of the key parts of being a modern broker is staying up to date with latest technology tools. They can supercharge your business, and you never know when technology might end up being the difference between winning or losing a deal. If you’re a real estate professional and haven’t checked out Floored, you are seriously missing out. One of the hardest parts about marketing an under-construction building is selling the space’s potential. Floored creates 3D renderings of any space that allow prospects to visualize the space they need. Maybe you have an unfinished building and your client wants to see what it would look like as a finished office. Or maybe you have a space that is finished and furnished and they want to see it as a blank slate. Floored can do it all. The nice thing about Evernote is it’s like a dozen apps in one. You can use it to take notes, record audio clips, snap photos, scan documents, share notes, make presentations on the fly, and more. All the notes are easily searchable, since they are stored as structured data, meaning your notes and thoughts are never more than a few keystrokes away. While Evernote was at one point rumored to be in bad shape as a company, it’s tightened its focus and started growing again this year, much to the delight of its loyal users. We all have our favorite news sources, but it’s nice to have an app that is specifically for industry news. The News Funnel is free and streams aggregated real estate news 24/7. You can create a customized feed and get instant access to relevant local and national news. And if you’re part of a real estate company, you can use The News Funnel for distribution, content production, and advertising. Using cloud storage is key to being a mobile broker. Box is one of the best out there because it’s secure,offers a bunch of free space (10 GB), and has great collaboration tools. You can pull up contracts, forms, and plans from anywhere. CompStak is a free lease comp exchange for CRE brokers, appraisers, and researchers. All comp submissions are completely anonymous so user privacy is protected and they guarantee their comps are recent and accurate. CompStak has in-house expert analysts that review and cross check every transaction for legitimacy and take care of data entry so you can send your comps in any format in about a minute. It can be extremely helpful to access comps when out with prospective tenants (and it integrates with Hightower). 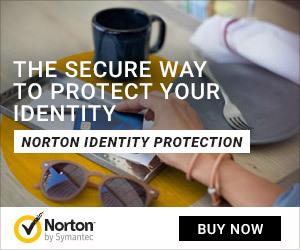 DocuSign allows for fast, easy, and totally secure electronic signatures. Completely legal and life-changing. Once a client is ready to sign, you don’t want to waste a single minute getting the contract in their hand. You can also store and send documents within the app. DocuSign has specific plans designed for real estate professionals, so it’s customized to exactly what you need. Strong internet access is an absolute necessity in today’s workplaces, especially when it comes to attracting millennial tenants. That’s why WiredScore started offering a new building certification for connectivity. While you might think that certification is nothing more than a piece of paper, it’s actually a valuable sales tool for brokers. It gives them an objective, third-party verification that a building’s internet is up to snuff, which they can then show to clients in order to help steer them toward the best possible building. You’re probably already on LinkedIn. But even if you’ve reached the coveted “500+ Connections” milestone, chances are you’re still probably not using LinkedIn to its maximum benefit. In addition to posting in relevant groups and sharing original content, you can also tap into add-ons like LinkedIn’s Sales Navigator to win more deals. It can be extremely tricky for tenant reps to find reliable contact info for all of their leads. As one of the biggest existing B2B contact databases, ZoomInfo solves that problem. You just sign up, search your potential leads on ZoomInfo, and get their up-to-date phone numbers and email addresses. It makes it much easier for brokers to keep their pipelines full. Think of Reonomy as a more commercial real estate-focused version of ZoomInfo. It helps brokers uncover contact info for owners of specific buildings by drilling down into alternate data sources, such as tax records. Its analytics also give brokers a read on a building’s leasing activity and likelihood to sell. 42Floors is a simple, intuitive site where business users can look up local office vacancies. It’s emerged as one of the best places for agency brokers to list their properties, especially if they’re targeting tech tenants in urban centers. Since launching in New York City in 2012, the listing service has expanded across the country. Tour books are an important piece of marketing collateral for brokers. They help potential tenants remember the spaces they’ve toured, access important details about a space’s amenities, and hang onto the broker’s contact information. The problem is that they can take a long time to make–time that could be spent building pipeline or giving even more tours. Spaceful solves the problem with a simple software that helps brokers build beautiful tour books quickly. In a time where everyone has a smartphone, a tablet, and and a desktop computer, it seems like setting up meetings should be easier than ever. But in many cases, all those options create confusion and simply add another detail for meeting attendees to hash out during scheduling. GoToMeeting cuts through that and lets you set up video or voice conferences that can be accessed by clicking a link or dialing a phone number. It’s a great way for brokers to keep in contact with tenants and owners. Hightower is the leading leasing and asset management platform that puts all of your leasing data at your fingertips in real time. Your business is mobile and Hightower is too. Our mobile app enables commercial real estate professionals to run their leasing process from anywhere at anytime. The platform is intuitive and collaborative, and increases visibility, productivity and results. Best of all, there are specific products for both tenant reps and landlord reps.
Henry Updegrave is a content marketer at Hightower. He has extensive SaaS marketing experience and is a graduate of Davidson College. When most people think of commercial real estate, their minds gravitate toward the types of properties they’re most familiar with: offices (where they work) and retail (where they shop). They’re usually not thinking of the industrial properties where the goods they use are made and shipped from. But CRE professionals know better than to underestimate the importance of the industrial space. While the deals for these properties may not be as eye-poppingly rich as those for premier office and retail space, industrial tends to be a more stable, long-term investment for owners and a consistently in-demand property type for brokers. However, anyone who wants to get involved in industrial needs to be an expert. The foundation of that knowledge always starts with an understanding of the basics. Here’s our rundown of the eight most common types of industrial real estate. Heavy manufacturing: These giant plants tend to make heavy-duty goods and materials. They usually have tens or even hundreds of thousands of square feet in usable space, along with powerful pieces of equipment, three-phase electrical power, and plenty of space for trucks to load up product. The exact machinery inside is usually customized to the end user, so heavy manufacturing plants need to be renovated when they take on new owners or tenants. Consider Austral USA, the massive shipbuilding facility in Mobile, AL. If someone else wanted to take over that factory and use it to build, say, cars, they’d need to change up the equipment accordingly. Light assembly: These spaces tend to be a lot smaller and simpler than their heavy counterparts. That’s because they’re usually where products are assembled from smaller parts, stored, and eventually shipped off to be sold to consumers. As such, they can much more easily be reconfigured for different tenants. A quick search for manufacturing properties onLoopNet will likely reveal several sites in your area that fit the bill. Distribution warehouse: As the name implies, these warehouses are primarily used to ship goods, which means location matters. If you want to quickly get your products anywhere in the country, you need to be toward the middle of the country, preferably near an airport. But the size of the occupying company can change that, and impact design as well. For example, Amazon occupies several custom-built, high-tech fulfillment centers around the country (hence why it offers same-day delivery in so many markets), some of which are as bigger than 1 million square feet. General purpose warehouses: These warehouses are more geared toward storage than distribution. That difference can play out in several ways. For example, most general purpose warehouses have a lower door to square footage ratio, since products aren’t being moved in and out as often. It also means that location matters less than what’s being stored there, which is what drives most of the variation in these spaces. For instance, one subset of general purpose warehouses is cold storage facilities, which are equipped with freezers and generally used to store perishable food items. Truck terminal: On the other end of the spectrum from general purpose warehouses are truck terminals, which are entirely devoted to transportation. They’re simply intermediate sites where goods are loaded from one truck to another, and have little to no storage space. R&D: R&D refers to research and development, the process by which companies create new products and improve existing ones. R&D properties vary a lot depending on the tenant and what they’ll be using the space for. For example, Google’s soon-to-open self-driving car project facility will be 53,000 square feet, feature wide open, indoor spaces to test self-driving cars away from prying eyes, and be located near Detroit, which is home to some of the country’s best auto talent. The property specifications fit the use case perfectly. Data Center: Data centers are where companies put the equipment that holds their data, keep their internet up and running, and make cloud storage possible. They average about 100,000 square feet but can get much bigger, the world’s largest being a 6.3 million square foot facility in Langfang, China. The reason that size varies so much is that lots of companies choose to lease space in third party data centers. As of Q4 2016, this is one of the hottest sectors in commercial real estate. Showrooms: Showrooms typically have a mix of space devoted to offices, warehousing, and most importantly, showrooms. Typically, more than half of the space is devoted to showcasing and selling products. The most familiar example to most people would be a car dealership, but there are several other kinds of businesses that need showroom space. This list is by no means comprehensive. There are several other types of industrial space, not to mention other characteristics that differentiate the types we cover here. But these are the most common types, and they illustrate a key point about industrial real estate: The spaces need to be tailored to specific goals for different kinds of businesses. We know that millennials are already making a big impact on office life and work style. But, since many offices have come to be a reflection of the company culture, the millennial effect is also impacting the physical office, interior design, and furniture. These trends are influencing some of the most common tenant improvements (TIs). As visual inspiration, we’ve included a few links to Office Snapshots, essentially the Pinterest of incredible new office spaces. Take a click and see the vast array of implementation of these trends. First impressions are everything. For both your clients and your future employees. Branding in entry ways and reception desks are critical. Use recurring themes and design elements to consistently remind people where they are — work with your designers to select key accent colors, furniture pieces, or lighting elements that emphasize the brand. Tough Mudder’s New York headquarters is a great example — it is very industrial, with just enough orange. On a slightly more subtle note, Index Ventures in San Francisco uses materials and elements from their original office to maintain brand continuity. More recently, Pandora filled its new Minneapolis office with references to local artists like Prince, reinforcing its brand as a music company and its ties to the city. Remember, however, that culture should always inform design. Not the other way around. Only have shared spaces is communication and collaboration really is important to your culture. Otherwise, there will be a sense of misalignment. For brokers and building owners, your tenants should also be proud of their building. While location is mostly everything, there is strong value in a statement lobby, elegant (and efficient) elevators, and great amenities and shops. Rent prices are climbing, and sf/person is dropping. Gone are private offices and extra-large cubicles with high walls. In their stead, are open-air environments with bench desking and casual seating clusters. Unfortunately these settings often make for a noisy work environment. Phone booths, huddle rooms, war rooms, team rooms, nap rooms – all offer an escape from the melee of conversations and phone calls. They should be soundproof, internet connected, and tucked away from high-traffic zones. The ultimately difference in each type lies in the level of technology (mounted screen, white board) and seating style (table, couch, bathtub?). Styles cover a huge range, from the traditional to deconstructed British phone booths and more. Boston-based wireless audio startup Sonos even offers its team smaller, more personal spaces at a 1:1 ratio. Have you ever tried to work together in a group and found people carrying chairs, moving tables, and struggling with computer cables? Steelcase, Herman Miller, Knoll and other workplace furniture designers have begun to design furniture and settings specifically for collaboration, brainstorming, and innovation. Knolls’ Antenna Workspaces, Herman Miller’sLayout Studio and Steelcase’s media:scape are evidence of an industry-wide adaptation of the collaborative trend. Do you have any furniture dealers in your Rolodex? You should. Strong relationships between owners, brokers, design firms and vendors mean cost savings for your tenants. In the history of commercial real estate, private offices sat around the edges of the floor plate, while all the juniors and amenities spaces were clustered towards the middle. Walls, doors and bookshelves kept daylight from filtering into the rest of the office. But, as millennials spend more time in the office, the separation between home and office is blurring. As a result, work spaces are being designed to accommodate longer hours of work and comfortable, pleasant environments. Daylight is becoming a necessary feature for all employees and spaces. When walls and cubicles are still needed, the trend leans towards frosted glass and lowest possible walls to maximize access to daylight. Storage, copy rooms, restrooms and phone booths are clustered in the middle. Software AG’s San Francisco office is a great example. Katie is a marketing manager at Hightower. Previously, she worked at VOA Associates, and is a graduate of Dartmouth. When the biggest commercial real estate owners make moves, the rest of the industry feels the consequences. So who are these players and how do their strategies differ? We’ve found a lot of variation at the top, with each landlord taking a unique approach to their portfolio. Here’s our overview of the top five commercial real estate owners by square footage. Prologis is the top CRE owner in the world, with almost 607 million square feet around the globe as of 2015, according tothe 2015 Annual Report. If you include facilities managed or still under development, that number rises to 669 million square feet. The behemoth company both owns and invests in industrial real estate, focusing on supply chain facilities near major transportation hubs, including airports, seaports and interstates. Prologis uses its immense size as a selling point to lure e-commerce companies with diverse and growing needs. Because of its global presence, Prologis also takes the threat of climate change seriously and works to keep its business sustainable. To that end, the company releases a sustainability report every year and has been reporting its climate footprint since 2006. It also takes advantage of its position as one of the world’s largest owners of rooftops to install solar panels on many of its buildings. The mammoth international investment firm includes among its assets the world’s biggest real estate private equity operation. The unit owns many kinds of CRE properties, totalling $103 billion in assets, and its office holdings alone would be enough to put it in the top five. Blackstone owns 153 million square feet of office space globally, and is the largest owner of office property in the U.S. As of March 2015, its domestic holdings include the iconic Willis Tower in Chicago with 3.8 million square feet and a stake in at least six Manhattan office buildings totalling 5.3 million square feet. Blackstone also owns 179 million square feet of retail space and 153 million of industrial, along with 96,000 multifamily units. Blackstone sums up its approach to CRE with the slogan, “Buy it. Fix it. Sell it.” The company’s vast stores of liquid capital allow it scoop up investments at the time when they’re most in need of improvements that will boost their value upon resale. Simon Property Group lives at the other end of the CRE spectrum from Prologis. A self-managed real estate investment trust, it owns, manages and develops hundreds of shopping centers around the world. Simon owns 209 properties domestically, totaling more than 184 million square feet of retail space in the U.S. in 2016,according to National Real Estate Investor. Most of those properties are malls and premium shopping outlets, including Copley Place in Boston, The Forum at Caesars Palace in Las Vegas and Woodbury Commons in New York. The company likes to say it is in the business of creating destinations, not just spots to go shopping. The focus has paid off, as Simon has been named the most admired company in real estate by Fortune magazine six times, including in 2015 and 2016. In 2016, Simon was ranked No. 1 for innovation, social responsibility and quality of management, among other things. Duke Realty Corp. manages to be the fourth largest CRE owner on our list – with 138 million square feet of assets owned or under development – despite focusing exclusively on the U.S. market. The self-managed real estate investment trust specializes in industrial and healthcare properties, but offers a wide variety of services, including development, leasing, property management and construction. Duke, a publicly traded company, continues to hone its investments, aiming for the most profitable areas. In 2009, 55 percent of its portfolio was made up of office buildings, but that has since fallen to 1 percent. And it plans to increase focus on “modern bulk distribution properties” to strengthen and expand the partnerships it currently has with e-commerce companies. The medical office buildings Duke owns, though they make up a smaller percentage of its holdings in terms of square feet, work as a steady counterpoint to the industrial holdings. Medical facilities are more resistant to economic downturns and tend to have longer lease periods, with Duke’s medical tenants staying an average of 13 years. 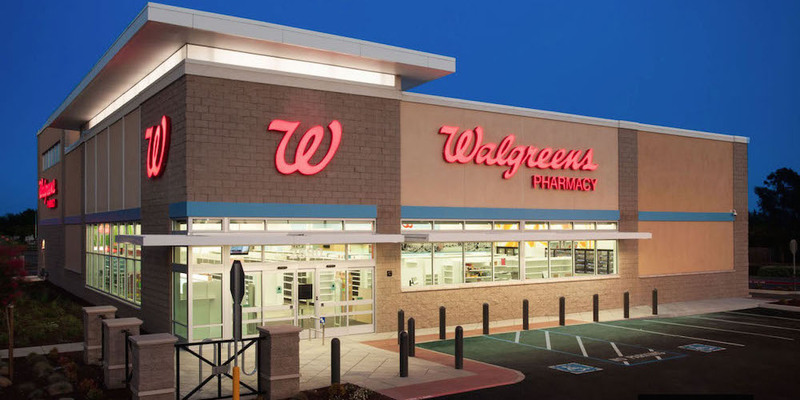 Rounding out the top five CRE owners is General Growth Properties, another retail operator with 131 retail properties totalling 128 million square feet, according to the firm’s 2015 Annual Report. General Growth Properties is a real estate investment trust that owns and operates 100 of the top 500 malls in the country and uses its extensive network to work with large companies looking to expand to multiple locations at once with its “Portfolio Review” program. It also puts a premium on corporate sustainability and has been awarded the Green Star award by the Global Real Estate Sustainability Benchmark for its focus on reducing water and energy consumption at its mall properties.